RARE 2 SIDE-BY-SIDE PARKING. Beautiful unit at the - RARE 2 SIDE-BY-SIDE PARKING. 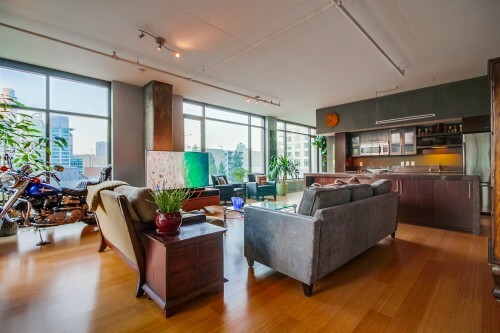 Beautiful unit at the Skyline, one of few condo buildings in DTLA with enclosed bedrooms units. Luxury living with resort style amenities, just across from Ralph's and FIDM. Rare floor plan, only 8 of its kind in the building, sharing common wallwith only one neighbor. 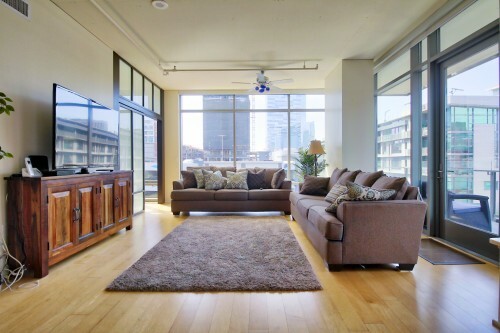 Unit has a large balcony and view of the DTLA skyline, recently remodeled with hardwood floors throughout, stainless steel appliances, granite counter tops in kitchen and bathrooms, and washer/dryer inside. Perfect for a family, couple, single living, a professional, FIDM or USC students. Amenities incl. heated pool & spa, sundeck, BBQ, gym, racket ball courts, club house, 24/7 security and concierge, and onsite management. Moments from FIDM & park, soon-to-come Oceanwide Plaza & Park Hyatt Hotel, 7th & Fig, The Bloc & Macy's, StaplesCtr, LA Live, RitzCarlton, Disney Hall & The Music Ctr., and walking distance to most of DTLA's restaurants and hot spots. Corner 2 Bedroom Loft with Purchase Option - Unique NorthWest corner Loft with large balcony and views of the DTLA skyline, street view of 11th Street and Hope Street, OceanWide Plaza, the Ritz-Carlton, and LA Live. LUMA is a luxury green building with 24 hours concierge, secure parking, and high-end amenities, swimming pool, spa, bbq area, Gym. 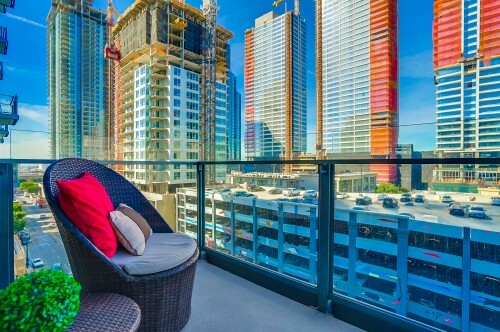 Fantastic West facing loft in Luma, DTLA's premier - Fantastic West facing loft in Luma, DTLA's premier living... with exceptional views of Oceanwide Plaza (currently under construction), LA Live, the Ritz Carlton, the mountains and the DTLA skyline... the view everyone wants! Afternoon sun & sunsets. The property has beautiful hardwood floors, floor-to-ceiling windows, large walk-in closet, stainless steel appliances, and washer/dryer inside. LUMA is a LEED certified Green building (low electricity bills). Amenities incl. concierge, 24/7 doorman & security, gym, pool/spa/sun-deck on outdoor community terrace with BBQ, fireplace and lounge chairs, and Prank Bark and Hygge Bakery at the ground floor. Walk to the Staples Ctr., LA Live, the Ritz Carlton, Regal Theaters, The Palm, Broken Spanish, Ralph's, Starbucks, Whole Foods, Disney Hall, and all of Downtown's restaurants and hot spots. 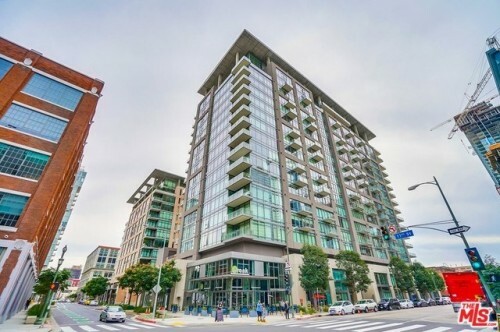 RARELY available, largest 1BR/1BA floor plan in Lu - RARELY available, largest 1BR/1BA floor plan in Luma, South Park DTLA's premier luxury living. Property has a balcony and expansive panoramic city West views from floor-to-ceiling windows, immaculate hardwood floors, custom BR bedroom sliding doors, custom shower/bathtub glass door, Caesar stone counter tops, stainless steel kitchen appliances, custom kitchen island, and a CUSTOM-BUILT KING SIZE MURPHY BED in the den area essentially making it into a 2BR unit. Luma is a Green building, LEED Certified GOLD (low electricity costs), and resort like amenities that incl. 24/7 security & concierge, gym, pool, spa, sundeck, and BBQ area on large outdoor terrace. Neighborhood amenities incl. popular Prank Bar and Hygge Bakery on the ground floor of the building, the Staples Ctr., LA Live, Ritz-Carlton, soon-to-come Oceanwide Plaza with 170k sqft of mall at the bottom, Regal Movie Theaters, Ralph's, Whole Foods... and moments from all of DTLA's restaurants and hotspots. RARE N/E CORNER FLOOR PLAN WITH 2 PARKING UNOBST - RARE N/E CORNER FLOOR PLAN WITH 2 PARKING & UNOBSTRUCTED NORTH VIEWS OF THE DTLA SKYLINE!! 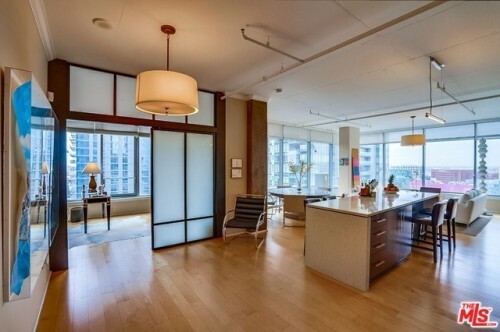 Beautiful 1BR/2B unit in Luma, South Park, DTLA's premier luxury living. Property features floor-ceiling windows, stainless steel appliances, large built-in kitchen island, 2 full bathrooms, secluded bedroom, and den area that can be used as office/fitness-area/2nd bedroom, beautiful well kept dark color wood floors, stainless steel appliances, and caesar stone counter tops in kitchen and bathroom. Luma is a Green building, LEED Certified GOLD... which incl. benefits of low electricity costs (average $50/mo for this unit). Building has 24/7 security and concierge, gym, pool, spa (hot tub), sundeck, and BBQ area on large outdoor terrace. Neighborhood amenities include the Staples Ctr., LA Live, RitzCarlton, soon-to-come OceanWide Plaza & Park Hyatt Hotel, Regal Movie Theater, Raplhs, Whole Foods, and most of Downtown's restaurants and hotspots within walking distance. AGENTS SEE REMARKS! Remodeled 2BR/2.5 bath corner unit in Luma, South - Remodeled 2BR/2.5 bath corner unit in Luma, South Park DTLA's premier luxury living. Soft loft with beautiful well kept light brown wood floors, custom ceiling molding through-out, faux bronze antiqued concrete columns, beautiful pendent light "chandeliers", "museum" curtains throughout, high-end drapery and Japanese style frosted glass sliding doors at the bedrooms, plus each bedroom with it's own full bathroom, and extra 3rd guest bathroom at the entrance. Expansive panoramic city views from floor-to-ceiling windows and large balcony. Luma is a Green building, LEED Certified GOLD... one of which benefits are low electricity costs. Building has 24/7 security and concierge, gym, pool, spa, sundeck, and BBQ area on large outdoor terrace. Neighborhood amenities incl. Staples Ctr., LA Live, Ritz-Carlton, soon-to-come Oceanwide Plaza, Regal Movie Theater, Ralph's, Whole Foods, and most of DTLA's restaurants and hotspots within walking distance. AGENTS SEE PRIVATE AND SHOWING REMARKS! 2 Bedrooms in Elleven with the Perfect City Views - STUNNING NORTH-WEST SKYLINE VIEWS!!. Chic NW facing unit with corner balcony in South Park... DTLA's premiere neighborhood. 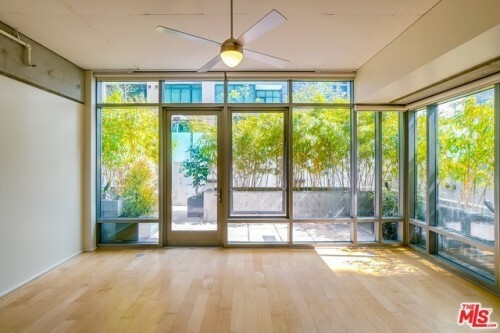 THE most desirable location in the bldg., only available unit of this exposure. Great floor plan with bed and bath-rooms in separate ends of the property, walls of glass, Cesar stone counter tops, large kitchen island, stainless steel appliances, large utility room with washer-dryer hookup, and beautiful gallery entrance with wall space for plenty of art. Property incl. rare 9x10 ft. STORAGE SPACE right by the elevators on the 3rd floor of the garage (closest location to the property), and tandem PARKING AT PRIME LOCATION on the ground floor. Elleven is a Green Bldg. LEED certified GOLD. Fantastic 2-story townhome in Granada Court, a gor - Fantastic 2-story townhome in Granada Court, a gorgeous Spanish style bldg located in Pasadena's Historic Playhouse district. Unit features panoramic views of city lights & the San Gabriel mountains. 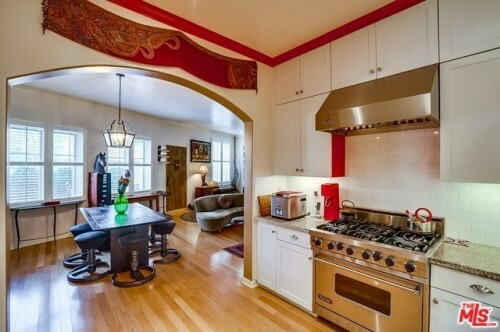 Beautiful architectural features incl. high ceilings, wood floors, crown mouldings, French windows & doors, fireplace, staircase with cast iron railings, and a gourmet kitchen with Viking Professional series stainless steel appliances, granite counter tops, white subway tile, and recessed lighting. Upstairs features two master suites each with extensive closets & built-ins and full bathrooms. Large storage space incl. with sale. Property has entry both from the bldg. main entrance/foyer, and direct access from the sidewalk. Bldg. amenities incl. 3 separate courtyards with a herb garden, community clubhouse w/ library & fireplace. Neighbourhood amenities incl. Vroman's Bookstore, Laemmle Playhouse 7, Pasadena Playhouse State Theater, Target, and a soon-to-come public park across the street. EXCEPTIONAL house with breathtaking panoramic view - EXCEPTIONAL house with breathtaking panoramic views of city lights, the Mountains, and with some of the most gorgeous sunsets in all of Los AngelesÃ¢Â€Â¦located in one of the best locations in Bel Air, the "Upper Bel Air". A private driveway leads you to a recently remodeled 4,488 sqft. Contemporary home with 5 BR's & 5.5 BA'sÃ¢Â€Â¦ featuring dual master suites, chefs kitchen, separate gym area, lots of natural light, 2 swimming pools (one that spills into the other), layered garden with large grassy yards and almost complete privacy... incredible indoor/outdoor flow... and 2 car garage and outdoor private parking. Close to the 101 and 405, ideal location for anyone working in or visiting Beverly Hills, Westwood, Brentwood, Sherman Oaks, Encino, Century City, Santa Monica, The Valley, Hollywood, Downtown LA, or going to LAXÃ¢Â€Â¦ all within a 10-30 minutes drive. Moments from Whole Foods, Trader Joes, Ralphs, Starbucks, Sherman Oaks Galleria, Westfield Fashion Square. Roscomare School District.